Wuyi Mountains: Birth Place of..
2019 Berlin WCC Rules & Regula..
Serbia is located at the southeast of Europe and in the middle of Balkans. This year, the government of Serbia officially grants visa-free policy to Chinese citizen, giving a good chance to spend a holiday in the country with pleasant climate and friendly prices. When I was exploring its coffee culture, I had a deep feeling it was much worth to drink especially for its high quality at a good price. Learning more about this country will make everyone fall in love with Serbia and its coffee culture. With beautiful architecture, fantastic coffee and handsome baristas, we have always a reason to fly to Serbia. The voyage to Serbia in the name of coffee, I gained a lot as always. 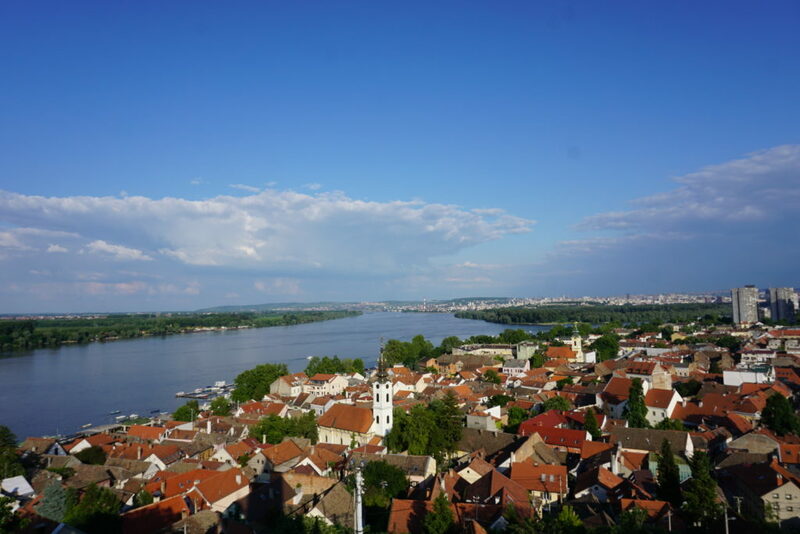 Coffee shops I visited are mainly in Belgrade and Novi Sad, the two big cities in Serbia. 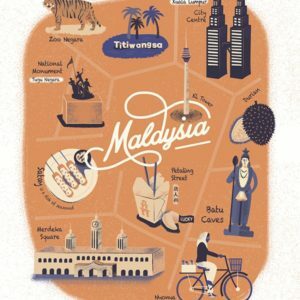 Hereby I want to share with you 8 cafés I like the most among all the stores I visited during my 14 days in this country. Koffein is located at the bustling Knez Mihailova Street in Belgrade. It has large indoor and outdoor space. Serbs prefer to be seated outdoor to enjoy coffee on the fresh air. 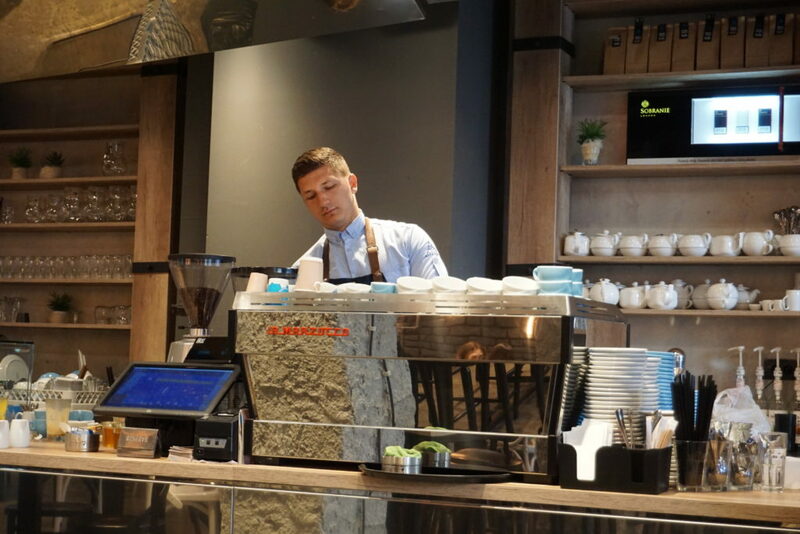 The coffee machine that is used here is a deluxe edition of La Marzocco, the coffee shop position itself as one of the rich coffee shops in Belgrade. The sentence – E=MC2 Energy Milk Coffee was written on the post nearby. Its grinders are also from La Marzocco, 3 grinders in total with each filled with different beans to satisfy customers’ requirement on single origin. When I was there, the beans were from Colombia, Kenya and Guatemala. Customers can choose one of these to make espresso, barista here always asks costumers’ preference on coffee before preparing the cup. Koffein has its own roast workshop. Besides coffee, its desserts are also worth trying. Barista recommended me a chocolate tart with pistachio. Koffein has additional space for coffee machine display, thet is where they hold coffee courses every weekend. 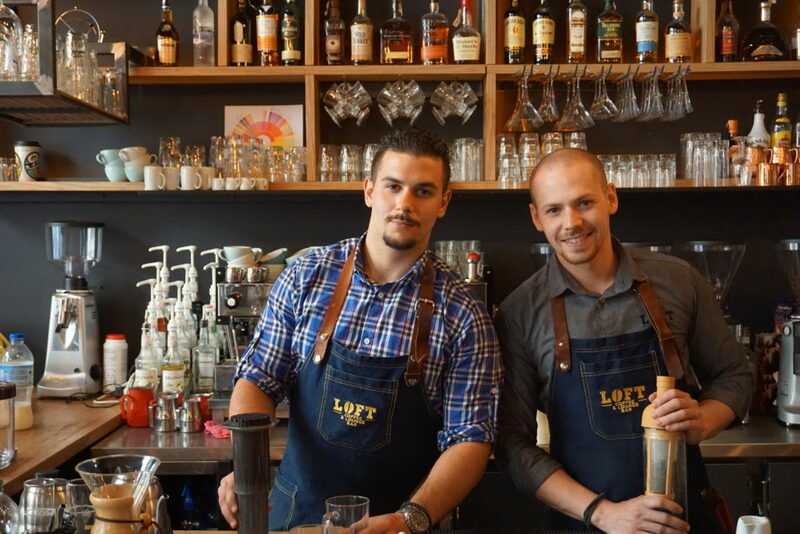 By having really pro-active baristas, Koffein gained the fame of the most customer-friendly coffee shop in the city. Recommend: Brewed single-origin coffee (Pour-over or AreoPress), chocolate desserts. I have been here 3 times in my 7days at Belgrade. Every time I came here, I was surprised and amazed by its coffee quality, architecture and decoration. The interesting thing is that every café in Serbia has several grinders to make different single-origin coffees, either for espresso, or for brewing. 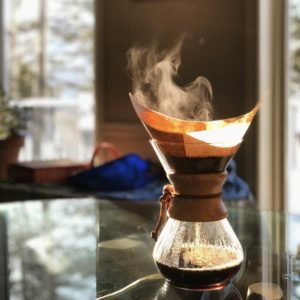 If brewed, customer can choose from Kalita, Chemex and AreoPress. Kafeterija’s coffee machines are La Marzocco and Sanremo. I would highly recommend brewed Kenya and iced cappuccino and the signature Egg Benedict, that I ordered. In my opinion, Kafeterija is the no. 1 café in Belgrade. It is a whole building café with 3 floors. The first floor is an online-famous babershop. With the same location as Koffein, Kafeterija provides a big variety of coffee for shopping lovers at Knez Mihailova Street. Kafeterija is also famous café for the historical building it is located in. The exquisite decoration inside and the historical appearance outside fills Kafeterija with charm. The function all three floors is different : the 1st floor serves coffee mainly from Africa and freshly made fruit juice; the 2nd floor is open space with seats, hollow decoration gives a full view of the cafe and makes the aging building look even more elegant; the 3rd floor serves coffee from America, focusing on Siphon, accompanied by a roasting room. The way to distinguish coffee origin by floor is really very interesting and somehow shows the shops’ idea. 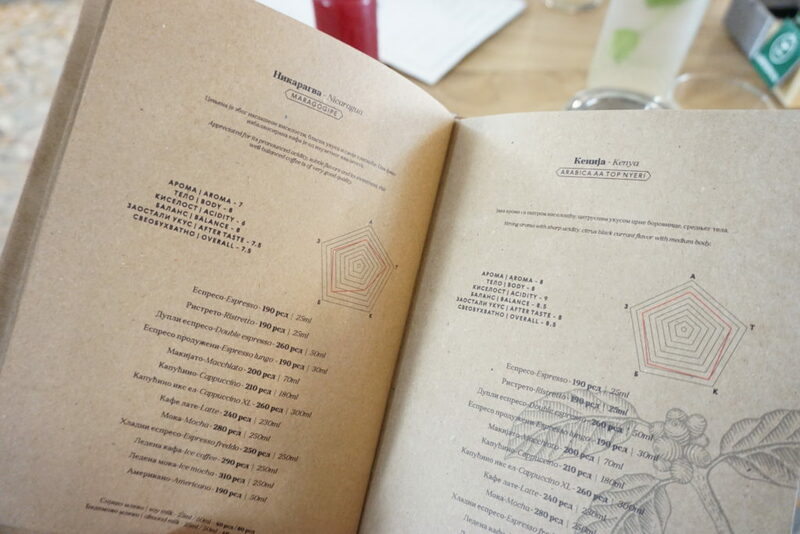 Café details shows on the menu: one page for one type of beans with detail introduction, including its origin, taste and recommended brewing method. 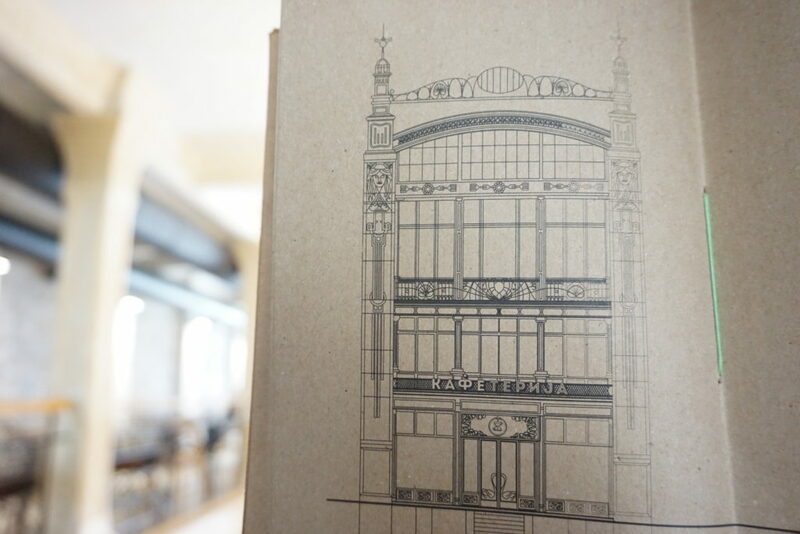 The decoration of the menu itself with the facades of the building is very elegant and eye-catching. 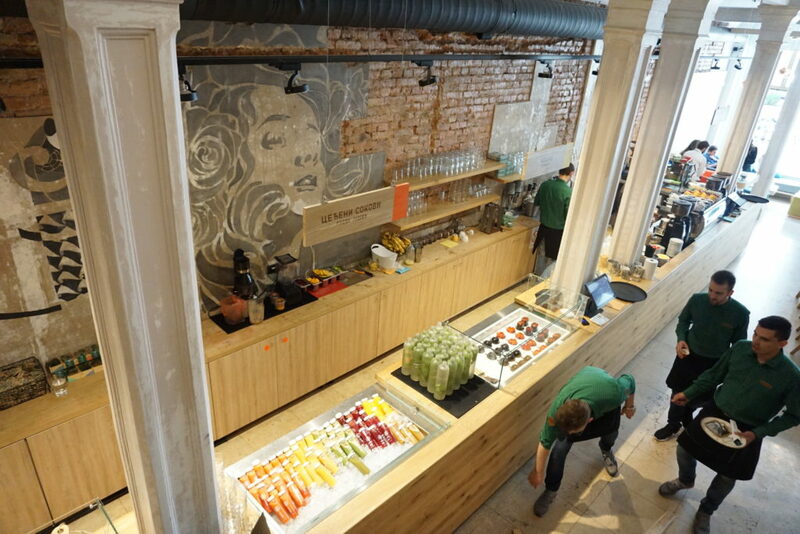 Recommend: Espresso, cappuccino, single-origin coffee, ice drip and special mixed juices. 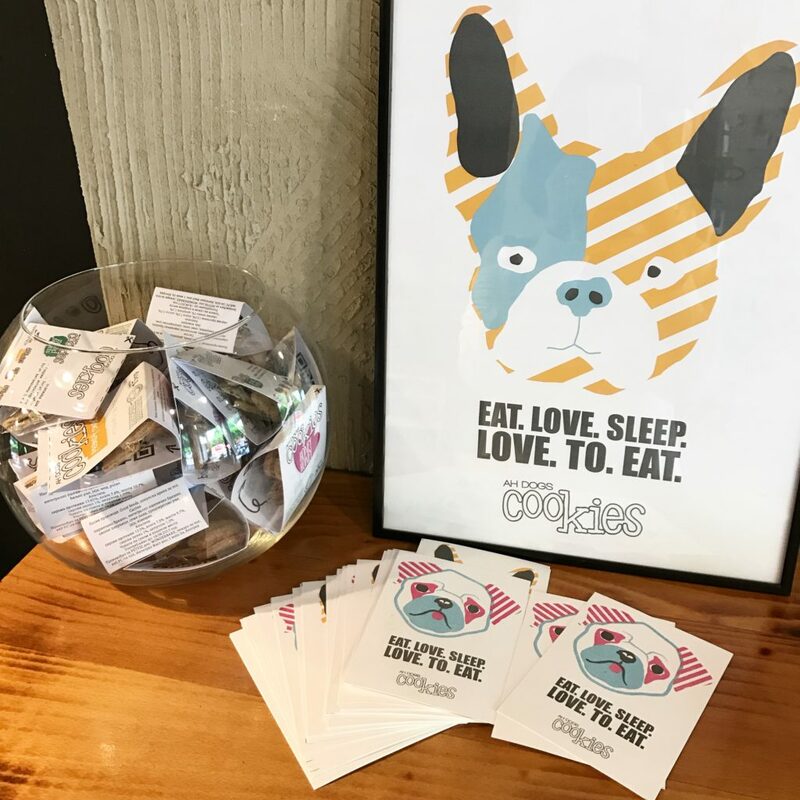 Although Lula Fine Espresso Bar is not easy to find, it was recommended to visit by many locals. The taste of coffee makes it worth it to look for this café in the small street of Belgrade. The key color here is blue, mixing with dark and light blue, big windows let natural light in and create a very airy atmosphere. Man with a pipe on the wall, is the iconic logo of Lila Fine. The furnitures in warm shades of pink makes female audience want to stay here forever. 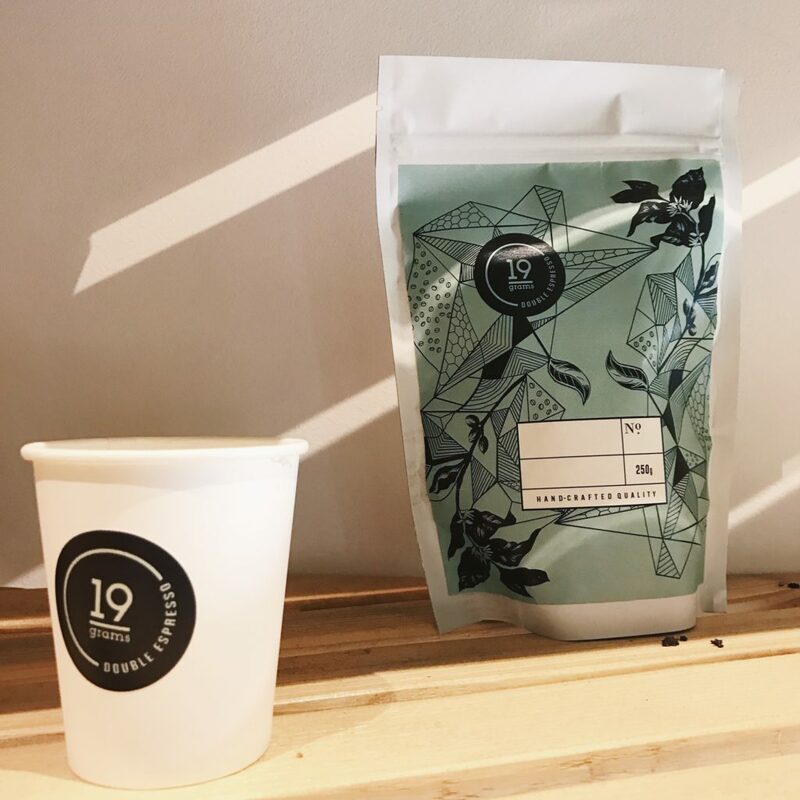 What surprised me most is the coffee price, one cup of AreoPress-made Salvodor coffee is about 15 CNY, good taste and really attractive price. Recommend: Single-origin coffee, cold brew and hand-made cookies. There is a café named 19 Grams located at the hip area of Belgrade. Seats start from the window and go all the way to the street: you can sit here and enjoy your coffee watching people passing by. The slogan “Because Every Gram Matters” represents its respect to coffee and baristas’ work. There are also some seats on the 2nd floor, plus a displayed area of 19 Grams’ own products including roasted beans. You can buy some if you like. Just as written on the logo “Double Espresso”, espresso here is only double, no single one offered. Customers can choose single-origin beans at the bar, then barista makes double espresso with the selected beans. Espresso Martini is a very popular coffee-based drink in Serbia, almost every coffee shop has it. It is a magical feeling how crema from espresso tastes with aroma from alcohol. Iced fruit tea is also worth to try, you can find fresh peach inside the drink, light and sweet, perfect choice for the hot weather. Just as it name says, Aviator Coffee Explorer is fully equipped: one store, three La Marzocco coffee machines and one line of grinders. Like in the cafés that were mentioned before, here you can choose either single-origin coffee beans or a blend. The slogan “BUT FIRST COFFEE” shows the spirit of having a good coffee before everything else in the world. During my stay here, I noticed that the place is always full even if you pass by in dinner time. 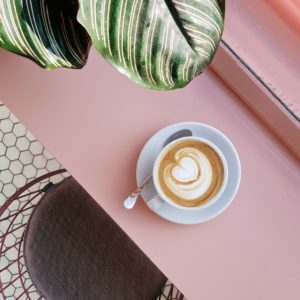 I thought that one of the most important reasons why is the warm-hearted and patient baristas: when I was choosing coffee, they were always there, asking for my preference in flavor and recommending the best beans to satisfy my taste. Located in the new part of the city, JAVA COFFEE is a café that uses its self-roasted beans. It is a coffee company rather than a coffee shop. So the store is actually a displaying shop of JAVA COFFEE COMPANY, where you can drink coffee, buy products including roasted beans and various tea. JAVA COFFEE logo can be seen in many cafés around Belgrade due to company’s leading place in the coffee industry in this city. Most cafes use beans from JAVA COFFEE COMPANY, as well as distribute its tea. Every tea in JAVA COFFEE has its unique name, for example: Domestic Madness is actually Chamomile Tea, Creative Madness is Ginger tea and Wild Madness is Mint Green Tea, which taste is light and clear, perfect to drink in summer in Belgrade. Four people on the icon represent a coffee farmer, a roaster, a barista and, of course, a coffee lover. The bar is not big but has everything you expect. If you order a single-origin coffee, every brewing method is available, if you choose espresso, it is still a single origin espresso. Fresh fruits are available at any time to make juices and the freshly baked cookies are ready to be served. Two coffee cars are parked in front of the entrance and ready for outdoor activities on weekends. During the European’s biggest music festival in July, JAVA COFFEE will send these two cars to Novi Sad to make coffee for music fans. Packaging of JAVA COFFEE beans is so special that every bag has its own illustration. LOFT, sitting at the Freedom Square in Novi Sad, is another café with outdoor seats. 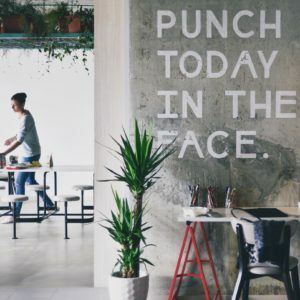 Actually its inner space is also very large and you can find here not only drinks and a nice seat, indoor or outdoor, but also some simple snacks. LOFT special offers on coffee every week. When I was there, it was the week of beans from El Salvador. 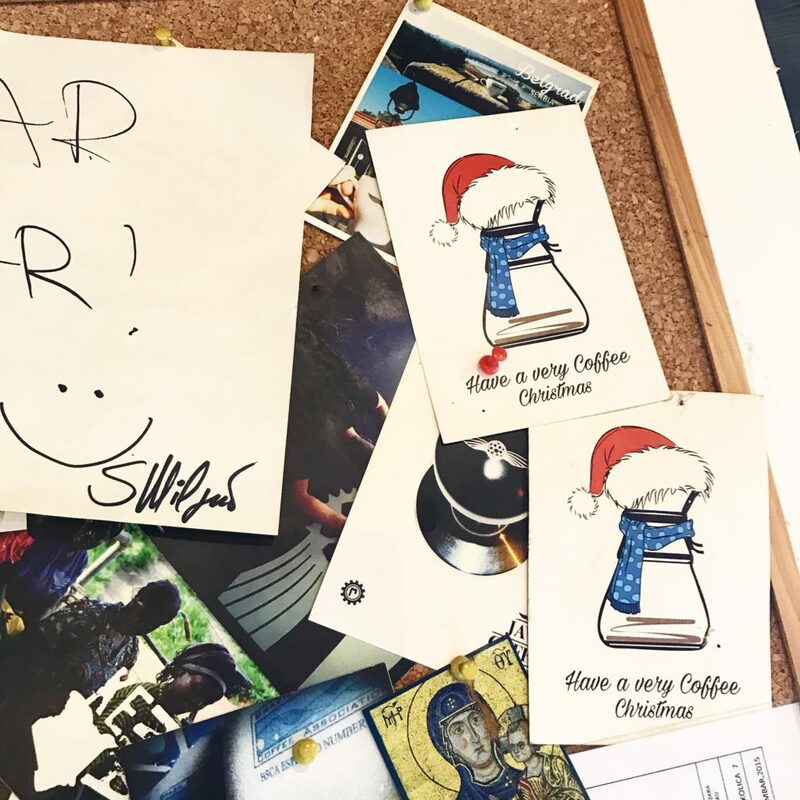 It did not matter if a customer ordered a single-origin or espresso, baristas would still use El Salvador beans. Thus, customers don’t need to chose because during this week only one type of beans is available. 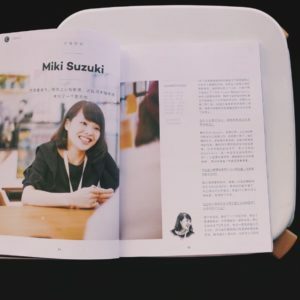 Seems like a great help for people that study menus forever in search of the perfect choice. The menu is very easy to understand, showing each coffee’s ratio of espresso, milk and milk foam. The single-origin espresso of El Salvador that I ordered was coated in the vanilla ice cream with some beans on top and made a perfect Affogato! Another detail that cought my attention is paying the bill: waiter always asks customers’ feedback on coffee. One single-origin coffee, one specialty coffee and one Affogato, in total is 550 dinar, equals to 36 CNY, really high quality at good price. Different from the cafés above, PASCAL Coffee Bar is located in residential area with green trees and old houses with red-brick walls on both sides. Its logo is sun, coffee and craft beer. as we can guess now, coffee and craft beer are the main drinks here. The sun shines through the opened windows and makes customers inside feel the warmth of the sunshine on their skin. The main colors here are blue, grey and orange. Not too cold and not too warm, these 3 colors create a great atmosphere and match perfectly with La Marzocco GB5. If you order a single-origin coffee in PASCAL, you will be served your coffee in a wine glass. Also I would recommend iced cappuccino, its milk foam is very smooth, and therefore tastes good. The Beans in PASCAL are all from JAVA COFFEE COMPANY. You can also buy either single-origin beans or blends. Talking about brewed coffee, barista can make your coffee with chemex, also you can choose Kalita or AreoPress. Baristas in PASCAL are very professional and perfectly trained how to prepare coffee and cocktails. Here you can also order Espresso Martini: decorated with cinnamon powder and a thin sliced lemon peel, espresso mixing with martini gives you unforgettable flavor and it seems like the two were created for each other.